Everyone who works regularly in the kitchen knows how slow cookers work. It’s really slow considering the fact that it can take as long as eight hours to cook certain foods. On the contrary, pressure cookers are way ahead in terms of time.Anyhow, there are obvious reasons for choosing either of the two utensils, regardless of the fact that both of them can cook delicious and delicate food without letting you do it manually. These fantastic tools can take up heavy-duty jobs of stewing and braising meat, and cooking grains, beans, desserts and anything. You name it! With the same results except for the efficiency, a question comes to mind– what separates them and makes each of them the best fit for kitchens. Here’s a complete guide to answer your concerns. As the name suggests, slow cookers work slowly and the reason for that is the amount of heat they use. The food is cooked on low heat over a long period. 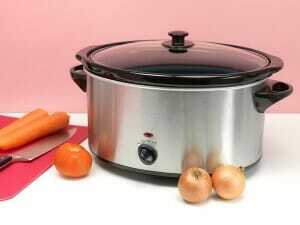 Slow cookers are also known as “Crock-pots” which is actually the name of a famous manufacturer of this utensil. Slow cookers are closer to conventional cooking and their purpose is to cook the food in the best possible manner. 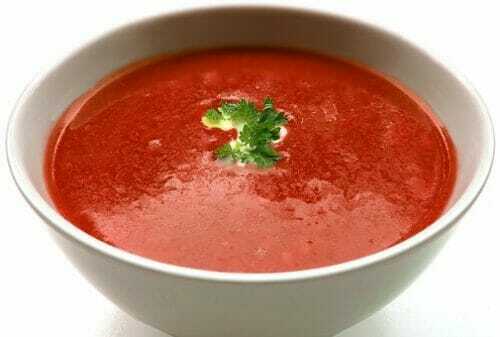 Slow-cooked food is quite delicate, soft and has the right taste for the tongue. Liquid, mainly water, is necessary to provide the steam to the system. The high pressure causes the boiling point of the liquid to increase up to 30 degree Celsius, making the food cook faster than normal. Slow cookers use less heat, but more time, ranging between four and ten hours, or even longer. The temperature has to be set at the minimum level. You need to put the food inside the container (the heating unit) and cover it with a lid. While most of the recipes do not suggest stirring from time to time, some of them do. However, the process is more towards hands-off cooking. You need to be extremely organized with slow cookers though. All the ingredients must be inside before you leave for work, and when you come back, the food’s properly cooked and ready to be served. The utensil has to be tightly sealed without the smallest of holes to let steam escape. The steam creates the decrease in internal temperature, causing the boiling point of the liquid to rise by 20 to 30 degrees. When the pressure is reached, the external heat is switched off (electric pressure cookers automatically cut the source of heat) allowing the pot to maintain the pressure for a few minutes before it begins to decline (as the pressure valve opens automatically). With the release of steam, the internal pressure begins to move down and matches the room temperature. The period between switching off the heat and complete pressure release allows the food that extra time to cook, which is not possible (or negligible) in slow cooking. Slow cookers normally come in stovetop models. They rely on some sort of external heat. There are electric cookers on the market but they’re not as popular. 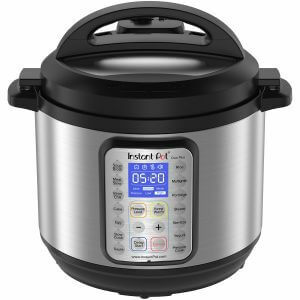 Pressure cookers are categorized into electric cookers and stovetop cookers, and both have different functions and safety features, but they produce almost similar results. Electric cookers have built-in functions to control the pressure without manual help. As discussed earlier, food inside the pressure cooker utilizes extra time after turning off the heat. This gives rise to different opening methods to make sure that the food takes just the right amount of time and heat. Each of these methods depends upon the kind of ingredients inside the pot. With slow cookers, there’s only one way of opening – simply remove the lid! Slow cookers are easier to maintain. You just need to clean them with conventional methods and store them like any other utensil. With pressure cookers, you have to be careful. You need to take care of the lid, the pressure release valves, the gasket, the pan, the base of the pot and any other parts that look important. Make sure to clean them properly and replace any component if it causes unnecessary steam release. Well, even if you want to, you cannot substitute one tool for another. They follow different methods of cooking the food, so they have somewhat different materials. 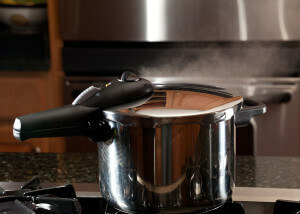 Slower cookers cannot withstand high heat, whereas pressure cookers may not even feel the low heat applied to it. Moreover, the recipes – the ingredients, the quantity and the amount of liquid required by them — also differ from one method to another. With so many differences between the two cooking tools, you can have both in your kitchen for cooking the same recipes in different manners. Your decision to choose any one method depends on how much time you intend to spend in the kitchen and how much space you have. However, considering the busy life and the needs of families, pressure cookers are more suitable and are a real necessity for all kinds of kitchens. whats the diffrence between a pressure cooker & a slow cooker?